Laminated Glass is your best choice for security as well as safety. Simply speaking it is two peices of glass bonded together with a very strong interlayer. When broken, laminated glass stays intact (similar to the windscreen of your car) so no one gets hurt and the security of your home remains in place. Toughened glass is the way to go for sheer strength. It is the strongest type of common safety glass. It will take more impact in the face than other types of safety glass. When it is broken it shatters into thousands of small granules that fall out of the frame (making quite a mess!!!) and out of harm’s way. So you’ve got broken glass in your shower screen, what now?? It’s easy. Call South Adelaide Glass and get it fixed – NOW! We can advise you on what you need, from the older (and cheaper!!) wired glass types right through to the top of the range patterned toughened glass for style and strength!! 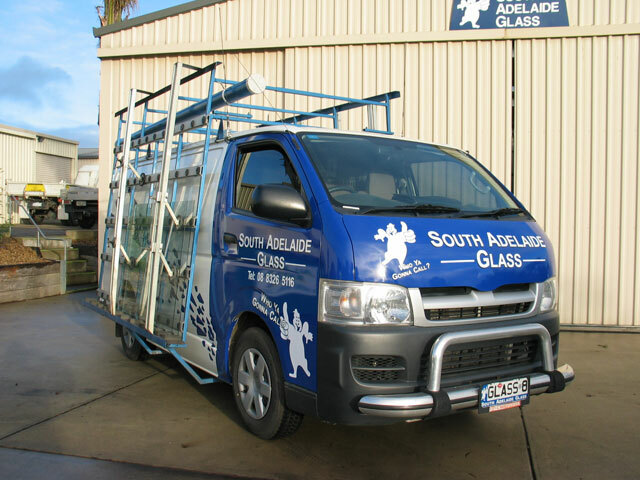 South Adelaide Glass is a family owned and operated company that supplies glass and glazing service’s to houses and business’ all over Adelaide. We have a Restricted Builders license and are accredited and licensed glaziers with the South Australian Glass Merchants Association. Here is a list of the services we offer: South Adelaide Glass offers a free quoting service and advice on what type of glass is best suited to your needs, contact us and get professional advice – NOW!!!! They were great, on time, and window was fixed in no time at all. Would gladly recommend them to friends and family. Only company to respond…I am so pleased that it was this one. Jarrett called and was polite, informative and got the job done with helpful advice. I am interstate and this was for a rental property. Feedback from tenant brilliant. Thankyou! This has taken a bit of pressure off me and knowing that all is under control and tenants happy and owner happy!!!. Brilliant.